This is where Geoff, William, and I spent the greater part of our day... Finishing the roof and painting the chicken coop for the school farm. I won't brag about my painting skills, but hey! Job done! I think it could have been easier if we'd been doing the whole thing from scratch... Remodeling a coop has its own set of challenges. 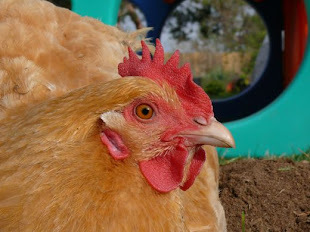 A few more details need to be worked out, but this weekend, when the city garden tour comes through, they'll see three big beautiful hens at the farm. Our girls are going to visit for the day and show everyone how happy chicas make a farm complete. 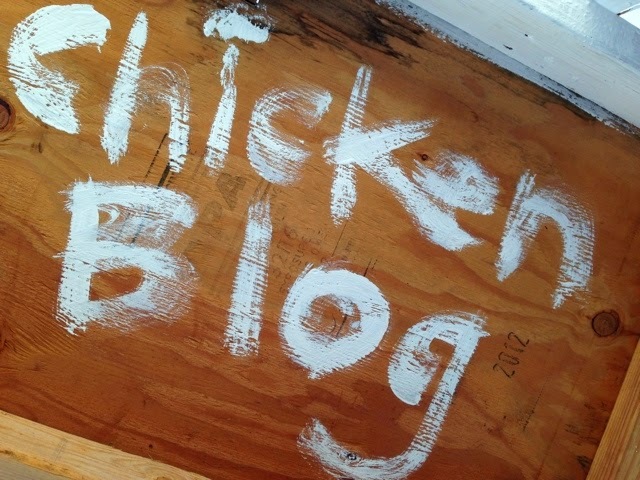 I think it will be Lilikoi, Mako, and Floppy Thompson being Chickenblog Ambassadors, earning their community service badges! Now we are home, tackling laundry, still doing computer maintenance, helping Geoff ready for a visit to Wisconsin, and thinking: We deserve a dinner out! WELL DONE! 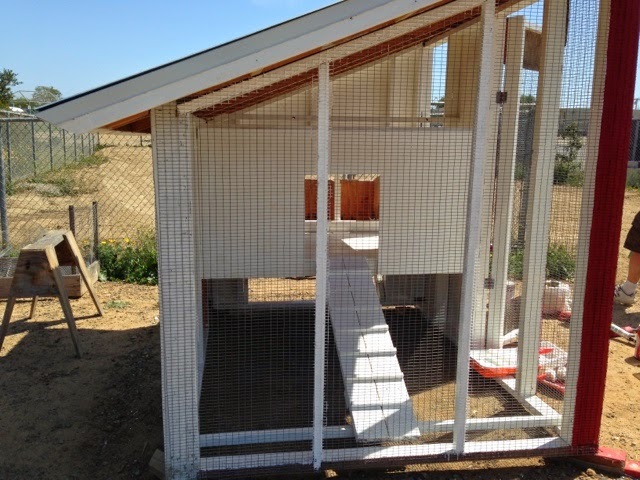 It looks amazing, I wonder how long it will last, so immaculately white, when the hens start running in and out :) The construction itself looks great, did you make that yourself? Right? 'Not long,' is the answer. 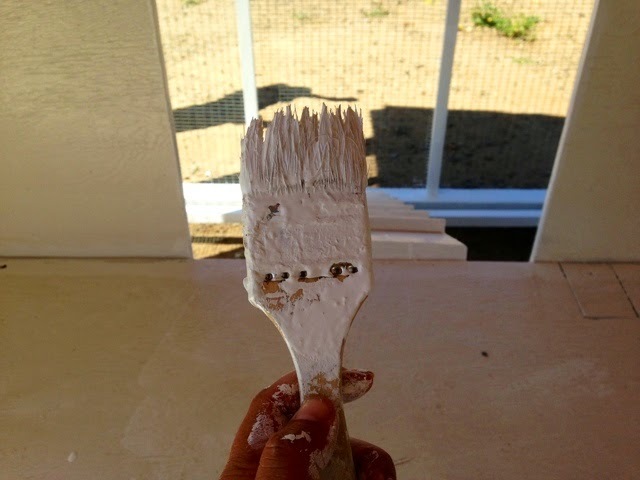 But, hopefully this paint will be easier to sweep, scrape, scrub, when the time comes. Wow! Impressive job! You should be very proud; quality, quality, quality!! Painting... ohboy... it always seems like a good idea at the outset, but a few hours in, and it get gets pretty daunting! 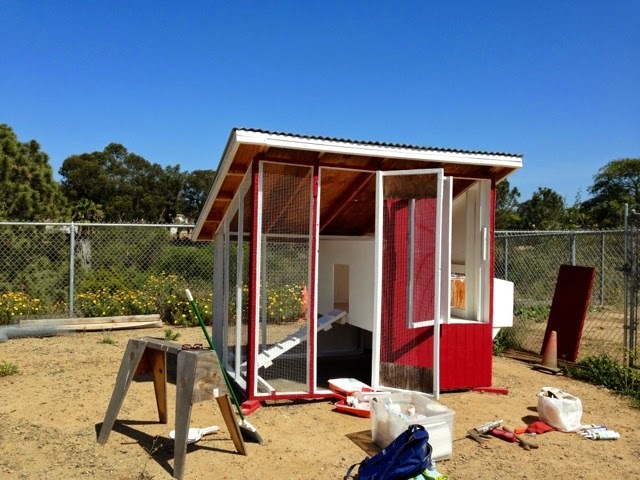 That is one beautiful coop! How can the chickens not love it?? Thank you. I think the chicas were suitably impressed! Do you still have bunnies? I don't see them in photos. 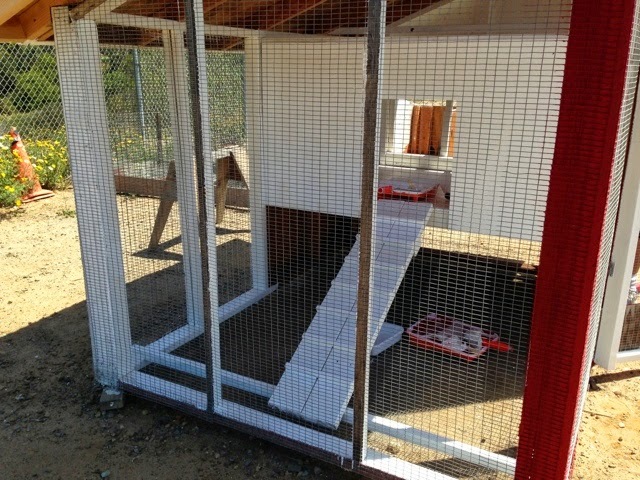 Are they in the coop with the chickens, and where do they run, play, and explore? Tomorrow's post will be just for you, Zan!